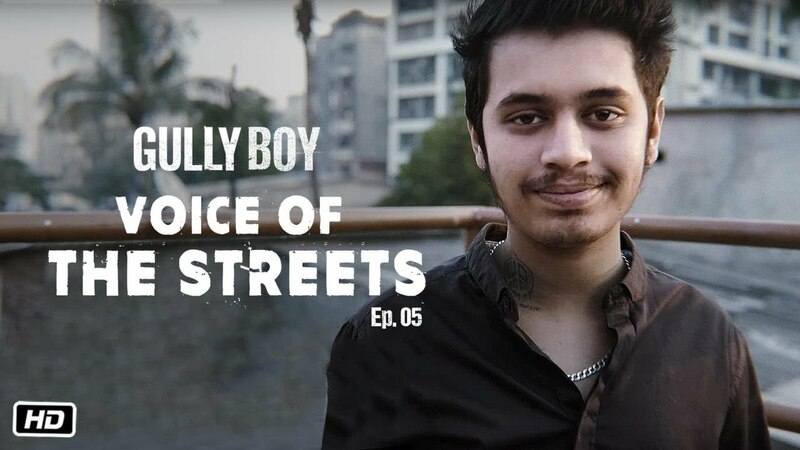 Episode 5 of the Voice of the Streets promotion from the makers of Gully Boy is out now, and the featured artist this time around is Kaam Bhaari. Hailing from Kandivali in Mumbai, this 19 year old is known for his unique and highly energetic flow, but we get to see a pretty subdued avatar of his in this video. His real name is Kunal Pandagle, and it’s unsure whether he will be seen in the film or not. What we do know is that Kaam Bhaari first came to prominence via a promotional campaign for Jack & Jones, which featured young rappers like him and Spitfire. They were seen along with Ranveer Singh, who is the brand ambassador for the company. In fact, it was Ranveer himself who recommended their names to director Zoya Akhtar during the making of the film. Kaam Bhaari has scored his own song in the soundtrack of the film. His eponymous track has been composed by him along with Ankur Tewari. His Voice of the Streets episode features an inspirational rap with lines like, “Arzoo rakh, kathor baaz rakh saath mein. Vazan rakh tu halka, par bhaar rakh baat mein.” He also speaks about his friends and family in this short rap. Kaam Bhaari’s is the fifth episode from the Voice of the Streets series by Excel Entertainment. The first one featured Naezy, while the second one had Spitfire speaking about his life. The third and fourth episodes belonged to MC Altaf and KR$NA, respectively. We wonder who will be featured in the next one. Gully Boy is all set to be released on February 14 in theatres across India. The film has been written by Zoya Akhtar and Reema Kagti, and it showcases the lives of Divine and Naezy as the base for the story. It of course stars, Ranveer Singh and Alia Bhatt in lead roles, while others like Kalki Koechlin, Siddhant Chaturvedi, Vijay Raaz, Vijay Varma and Amruta Subhash will be seen in supporting roles. The entire soundtrack of Gully Boy is out on major platforms right now, and it is one album that you would not want to miss out on.